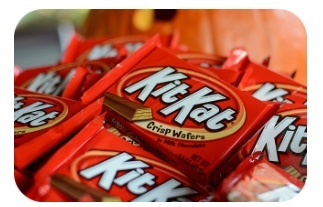 KitKats first landed in U.K. candy stores in 1935 and the four-fingered bars quickly became a hit. By the 1970s the crunchy chocolate candy had grown from a popular British treat into a worldwide hit. Nestle purchased KitKat in 1988 and solidified the candy bar’s position as a global brand. KitKat has changed little over the course of this long history, retaining its signature four-fingers of chocolate that “break off” with a satisfying snap. Experts say this decision provides legal cover for any company to start producing their own knockoff KitKats. Still, Nestle claims that it hasn’t given up yet and may take the matter all the way to the U.K. supreme court. And judging from an important past ruling, there’s a chance that the company could ultimately win out. A few years ago a court found that the “zigzag prism” shape of a Toblerone bar was distinctive enough to warrant trademark protection. Nestle’s lawyers may be able to make a similar case for KitKat, but only time will tell if their efforts will be successful. Do KitKat bars have a distinct enough shape to deserve trademark protection? Why did countries like Germany and France grant trademark protection to KitKat’s shape while the U.K. did not? Source: Esther Addley and Angela Monaghan, “KitKat Foiled Again in Attempt to Trademark Four-Fingered Bar’s Shape,” The Guardian, May 17, 2017. Photo by slgckgc.